Carlton Sexton, MD is a radiologist whose work focuses exclusively on orthopaedic patients. He is a diagnostic radiologist and interventional radiologist. His special interests include orthopaedic diagnostics and interventional radiology. 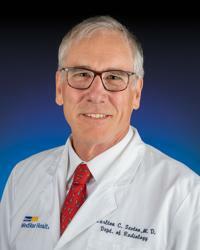 Dr. Sexton was named a Top Doctor in Baltimore magazine for Radiology in 2017.